‪Graham Hancock on Freedom‬‏ - YouTube: " "
‪Mao's Critics Silenced‬‏ - YouTube: " "
‪Is this the future of social media?‬‏ - YouTube: " "
An Ethiopian court has remanded in custody two Swedish journalists arrested after accompanying rebels opposed to the government in Ethiopia, Sweden's foreign ministry said Thursday. Photographer Johan Persson and reporter Martin Schibbye, both freelancers, faced "a proceeding" on July 6 in the eastern city of Jijiga, foreign ministry spokesman Kent Oeberg told AFP. The Swedes have since been transferred to the capital Addis Abeba and will appear in court again on July 19 or 20, he added. Swedish diplomats have met with the duo on two occasions, the last time at the end of last week in the capital, Oeberg said. "They have been treated well and are doing well considering the circumstances," he said. Ethiopian police arrested Persson and Schibbye in Jijiga on July 1 after they had entered the region through Somalia with members of the rebel Ogaden National Liberation Front (ONLF), which is opposed to the Ethiopian government. They were travelling with ONLF rebels when fighting broke out with Ethiopian troops in which 15 rebels were killed and six people injured including the journalists, who suffered gunshot wounds. An Ethiopian foreign ministry spokesman initially said they would face trial for the "terrorist activities" they were planning but later retracted his statement and told AFP the pair were being investigated but had yet to be charged. An Ethiopian state-controlled website has published a half-hour long video of the two jailed Swedish journalists Martin Schibbye and Johan Persson. The film appears to show when the two Swedes, along with rebels from the Ogaden National Liberation Front (ONLF) Guerrilla, had just been arrested by the military in the turbulent Ogaden region. The video has probably been released for propaganda purposes, and half of the materials appears to have been filmed by the military. The rest is made up of Swedes own material filmed before they were arrested. "If there is a trial the footage could be used as evidence that they entered the country illegally, which they were forced to say on tape. It can also be used as evidence that they had received weapons training; they are also with the ONLF in a conflict situation," Ethiopia expert Kjetil Tronvoll explained to Sveriges Radio's Ekot news programme. In the video on the site CakaaraNews, Martin Schibbye and Johan Persson are placed in front of military cameras. In the background is seen a dry, open landscape with plenty of shrubs. Both have visible injuries, which are shown in pictures. They both tell an almost identical story to the military about how they broke into the country illegally, and Schibbye said that the ONLF advised them to do so. The purpose of the visit was, he says, to interview the rebels. "At noon on July 1st, we sat down and ate together with the ONLF. We heard gunshots. And our plan from the beginning - because we are illegally in the region - was to hand ourselves over if we came across soldiers from the (Ethiopian) army." Schibbye told how he heard only rifle shots. "We ran away from the bullets, to an open space like this and showed our white skin and gave ourselves up. And the Ethiopian army has taken good care of us," he said. The film also depicts their wounds being dressed and them receiving food. In the Swedes' own material, which the military uses in the beginning of the film, one can see their preparations to get into the Ogaden. There are interviews with refugees and one of the Swedes fires a weapon. This is followed by fragments of a car drive and walking in arid terrain along with armed men, presumably ONLF rebels. Around 16 minutes into the movie gunfire is heard suddenly and it is then shown how Ethiopian troops disarm several of the men, stretching up her arms in the air as a sign of surrender. On the ground a man is seen lying, presumably dead. Thereafter, only the Ethiopian military's own images of Martin Schibbye and Johan Persson. Kent Öberg at the Swedish foreign ministry press office saw the video with the Swedes at 10pm on Sunday. "I have seen it, but did not understand what they said." "I have sent it to Addis Ababa, the embassy there, so they can have a look at what is being said." The foreign ministry had no additional comments on the video, but said that the media is being continuously monitored. 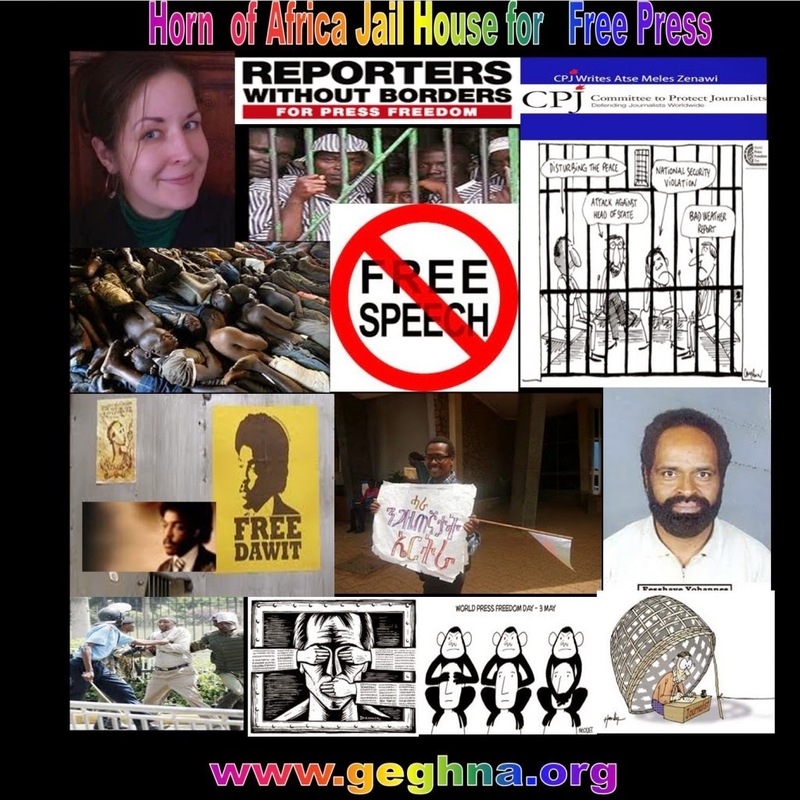 The information that an Ethiopian foreign ministry official had confirmed that the two Swedish reporters held in custody after being arrested in the Ogaden province will be charged with terrorism crimes, has been repudiated but the authority. "I was misquoted by the AFP reporter. I haven't said that they stand accused of anything. We are investigating why they were in the area.They were arrested in the wrong place with the wrong people, but we don't know why," Ethiopian foreign ministry spokesperson Dina Mufti told news agency TT. He couldn't answer what the two Swedes stand accused of or when their case may go to trial. "As they haven't been charged with anything and no interrogations have been held they have yet to receive legal representation," Mufti told TT. The two Swedish reporters, Martin Schibbye and Johan Persson, were in a conflicted Ogaden region by the Somali border, when they were arrested on July 1st. Ogaden is off-limits to journalists, and there is an armed conflict going on between the government army and the guerrilla movement Ogaden National Liberation Front (ONLF). The region is populated by ethnic Somalis, and the Swedes entered the area together with rebels from Somali breakaway republic Puntland, in order to report on the situation. Despite the earlier information given by Ethiopian authorities that the two Swedish reporters had been moved to the capital city Addis Ababa, the Foreign Ministry were told on Wednesday afternoon that they are still held in the Jijiga area. "We have had it confirmed to us that they are still in Jijiga. We don't know the reason behind it or if they still will be transferred to Addis Ababa," said Cecilia Juhlin of the Foreign Ministry to news agency TT. The Swedish ambassador to Ethiopia, Jens Odlander, was not allowed to see the Swedes on Tuesday but is expected to visit the two reporters again as soon as he receives the green light from authorities. “We are counting on visiting them again then. We have received positive information indicating that this request will be granted,” Juhlin told DN. But later on Wednesday they received the information that the men were still in Jijiga. Jens Odlander, who had returned to Addis Ababa following the news that the men were being taken there, does not want to speculate into what it means. "Of course we are a little worried of the contradictory information. We haven't received any explanation," he told TT.